• Perfect for anywhere you'd like the combined power of on/off and dimmable lighting control options. • The adorne Paddle Dimmer Switch is a beautifully inventive solution to total lighting control – turn lights on and off with a simple rocking motion, or slide to dim. • Use on its own to control a light from one location (single-pole operation) or pair with a 3-way switch to control a single light source from two locations (three-way operation). • Pair with matching Paddle Switch to create a uniform look throughout a room or your entire house. Rated 4 out of 5 by angel30a from Great looking /easy to install This product was switched out with one of the older dial switched in my home. This looks much better then the older white one beings the color looks a lot better. I was iffy about installation but the instructions was very thorough and installation was quick and easy. Rated 5 out of 5 by mrodriguez0426 from Very stylish Amazing dimmer switch. Very easy to install and it gives any room that touch of style that is needed. Love how easy it was to install, love the color and the texture of the material. Highly recommend it this to anyone looking to replace their current switch plates. Rated 5 out of 5 by Bean from Great addition to any room I got this product to test and review. I had my family member ( electrician) install this light into my sons room, I was super excited to get this because I was actually going to purchase one. My son has nightmares and doesn't like the light out untill he falls a sleep. This light dimmer allows me to put the light on low so the brightness doesn't keep him up. He hasn't had any trouble sleeping since. The light switch has a nice slide up and down. You can adjust it to however brightness you want without having to fight in between a dimness. This dimmer switch was easy to install and I am going to tell my friends and family that have kids having trouble sleeping that this is the way to help out. I like how there is a lot of different dim options, not just off bright or in between. 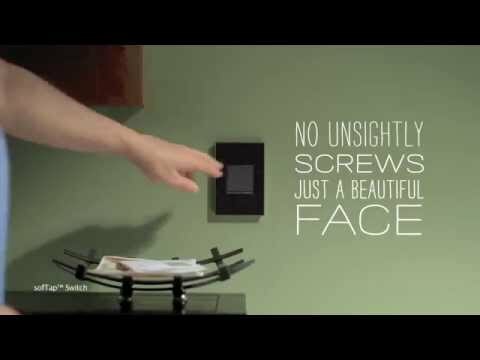 This dimmer switch can be used where ever is needed. Rated 5 out of 5 by James601 from Great features I received Dimmer Switch, 450W CFL/LED, Magnesium it a great brand. Very easy to place on light switch. Work perfect. Perfect fit. Great to have in any room you do decide to put it in. Great brand than the others. Rated 4 out of 5 by Randy H from Dimmer switch Recieved this product and thank you for it. Had to do some minor work to install it in my house. The color blends well with the paint I have on my walls. Easy to slide the dimmer and has a paddle switch as well.